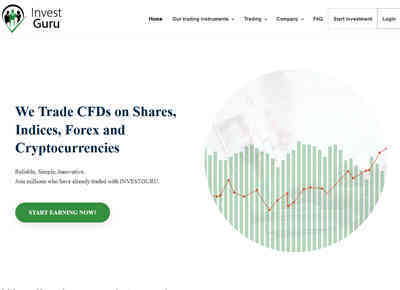 Мы торгуем CFD на акции, индексы, Forex и криптовалюты. Надежно, просто, инновационно. Присоединяйтесь к миллионам, которые уже торгуют с INVESTGURU. 12.12.18 19:51 Transfer Sent Payment: 200.00 USD to account U17507442 from U1294xxx. Batch: 239389900. Memo: Shopping Cart Payment. Deposit to investguru.biz User a. 14.12.18 06:29;Account;Receive;Received Payment 12.00 USD from account U17507442 to account U1294000. Batch: 239513834. Memo: API Payment. Withdraw to a from investguru.biz. 16.12.18 04:48;Account;Receive;Received Payment 1.6 USD from account U17507442 to account U1294000. Batch: 239685968. Memo: API Payment. Withdraw to a from investguru.biz. 15.12.18 11:03;Account;Receive;Received Payment 3.2 USD from account U17507442 to account U1294000. Batch: 239626393. Memo: API Payment. Withdraw to a from investguru.biz. 15.12.18 11:03;Account;Receive;Received Payment 12.00 USD from account U17507442 to account U1294000. Batch: 239626379. Memo: API Payment. Withdraw to a from investguru.biz. 17.12.18 04:52;Account;Receive;Received Payment 12.00 USD from account U17507442 to account U1294000. Batch: 239772458. Memo: API Payment. Withdraw to a from investguru.biz. 17.12.18 04:52;Account;Receive;Received Payment 2.4 USD from account U17507442 to account U1294000. Batch: 239772446. Memo: API Payment. Withdraw to a from investguru.biz. 17.12.18 04:52;Account;Receive;Received Payment 12.00 USD from account U17507442 to account U1294000. Batch: 239772440. Memo: API Payment. Withdraw to a from investguru.biz. 18.12.18 07:14;Account;Receive;Received Payment 1.6 USD from account U17507442 to account U1294000. Batch: 239887404. Memo: API Payment. Withdraw to a from investguru.biz. 18.12.18 07:14;Account;Receive;Received Payment 12.00 USD from account U17507442 to account U1294000. Batch: 239887391. Memo: API Payment. Withdraw to a from investguru.biz. 19.12.18 09:06;Account;Receive;Received Payment 1.6 USD from account U17507442 to account U1294000. Batch: 240003942. Memo: API Payment. Withdraw to a from investguru.biz. 19.12.18 09:06;Account;Receive;Received Payment 12.00 USD from account U17507442 to account U1294000. Batch: 240003930. Memo: API Payment. Withdraw to a from investguru.biz. 20.12.18 07:39;Account;Receive;Received Payment 9.6 USD from account U17507442 to account U1294000. Batch: 240096115. Memo: API Payment. Withdraw to a from investguru.biz. 20.12.18 07:39;Account;Receive;Received Payment 12.00 USD from account U17507442 to account U1294000. Batch: 240096077. Memo: API Payment. Withdraw to a from investguru.biz. 21.12.18 09:09;Account;Receive;Received Payment 12.00 USD from account U17507442 to account U1294000. Batch: 240199755. Memo: API Payment. Withdraw to a from investguru.biz. 22.12.18 15:54;Account;Receive;Received Payment 1.6 USD from account U17507442 to account U1294000. Batch: 240326893. Memo: API Payment. Withdraw to a from investguru.biz. 22.12.18 15:53;Account;Receive;Received Payment 12.00 USD from account U17507442 to account U1294000. Batch: 240326887. Memo: API Payment. Withdraw to a from investguru.biz. 25.12.18 10:38;Account;Receive;Received Payment 12.00 USD from account U17507442 to account U1294000. Batch: 240545274. Memo: API Payment. Withdraw to a from investguru.biz. 24.12.18 10:14;Account;Receive;Received Payment 1.2 USD from account U17507442 to account U1294000. Batch: 240460615. Memo: API Payment. Withdraw to a from investguru.biz. 24.12.18 10:14;Account;Receive;Received Payment 12.00 USD from account U17507442 to account U1294000. Batch: 240460599. Memo: API Payment. Withdraw to a from investguru.biz. 24.12.18 10:05;Account;Receive;Received Payment 12.00 USD from account U17507442 to account U1294000. Batch: 240459874. Memo: API Payment. Withdraw to a from investguru.biz.